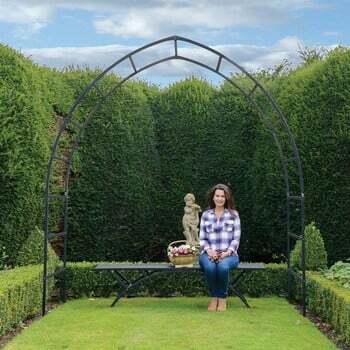 The Gothic Garden Arch creates a stunning focal point in the garden, based on the timeless gothic arch shape used in churches and stunning buildings across the world, this beautiful metal garden arch will grace your garden for years to come. 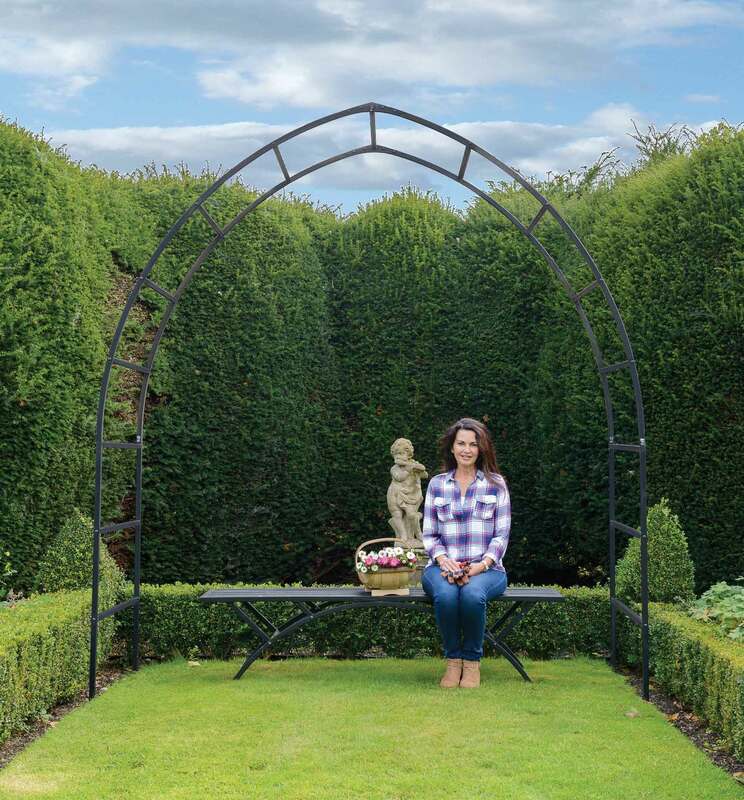 The Gothic Garden Arch mimics the typical church window shape found in beautiful buildings across the world and will be a stunning addition to your garden. Endorsed by the RHS these metal garden arches are perfect for framing an entrance, segmenting the garden or framing a plant or structure. 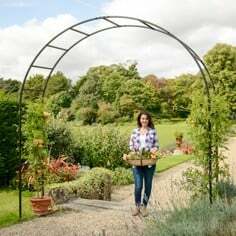 Why not create a glorious tunnel with multiple arches and take advantage of our special garden arch multibuy offers. 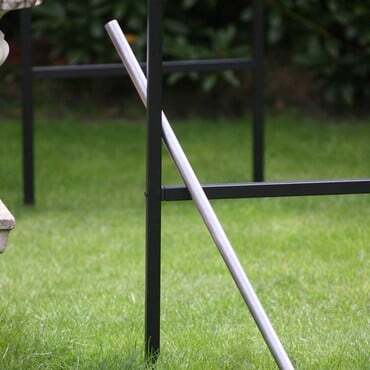 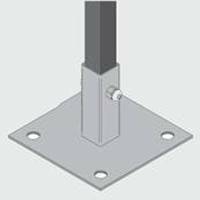 Manufactured from the same top quality, 10 year guaranteed materials used in the construction of our steel fruit cages - extra strength, 1.5mm thick x 25mm square steel section which is both pre-galvanised and powder coated to give a resilient and extremely attractive matt black finish and plastic capped, flush fitting steel connectors - along with black stainless steel bolts, the RHS endorsed Gothic Arch is likely to be around for a long time! 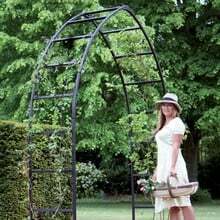 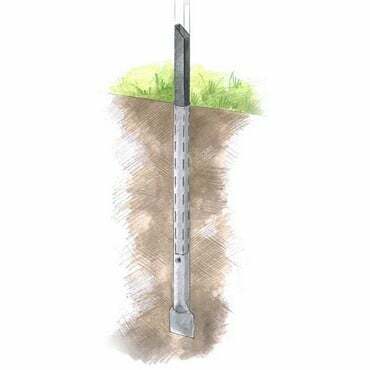 Like the other stunning garden arch designs in our range - the Roman and Ogee - the Gothic metal garden arch is designed to be installed directly into the soil (we've provided an additional 40cm on each upright to secure into the ground along with optional floor fixing pins). 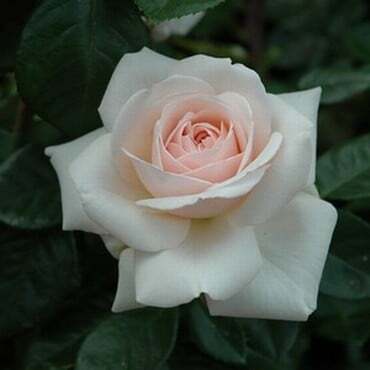 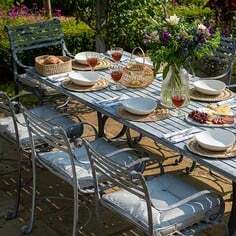 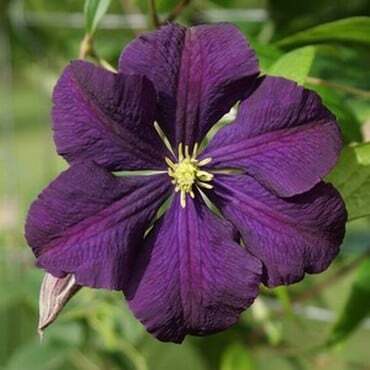 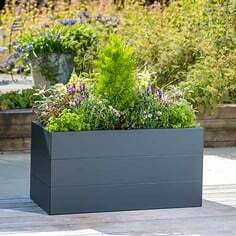 The result is a secure and stylish venue to display your climbing ornamentals, fruit and even vegetables! 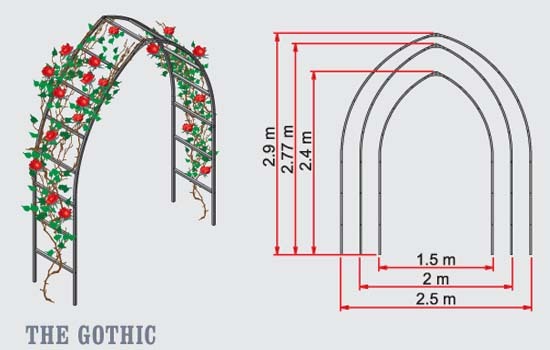 The Gothic Garden Arch is available in three fixed width, height and depth options - 1.5m, 2m and 2.5m wide, 2.4m, 2.77m and 2.9m high and 60cm, 1.05m and 1.55m respectively. 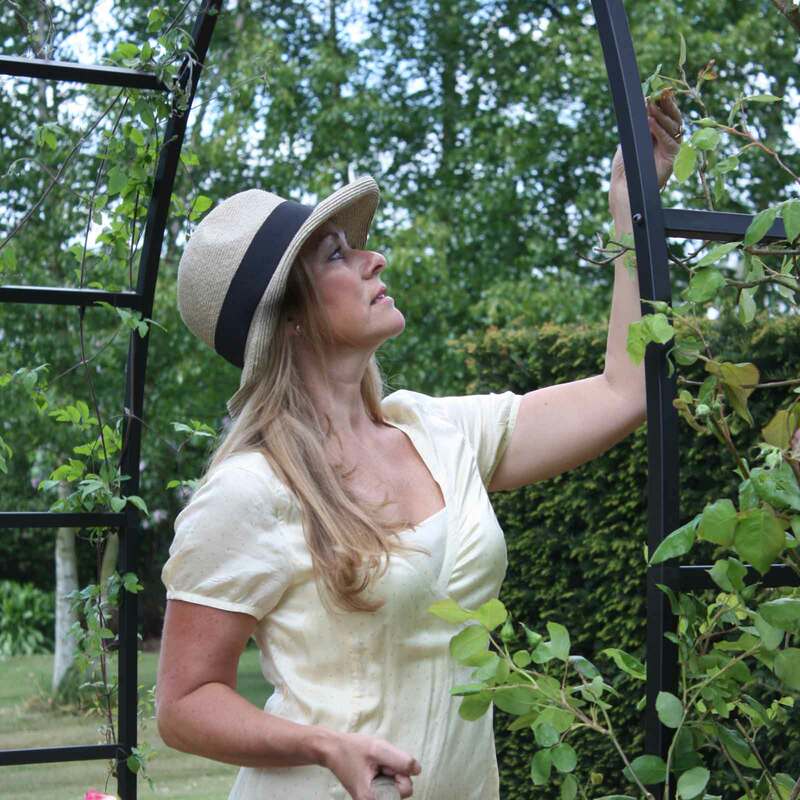 We are here to help with your Garden Arch Project and can offer a complete Made to Measure Service if you can't see the ideal size for your garden. Our Expert Design Team have previously created a run of 3 Gothic Linked Arches, and a Gothic Gazebo as a wonderful central focal point to a garden, in a bespoke design. Our Gothic Arches are imposing and powerful and the classic arched shape will fit into almost any garden setting. 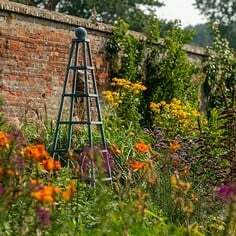 The Gothic - like all our garden arches - gives essential support to all number of climbing ornamentals, fruit and vegetables. 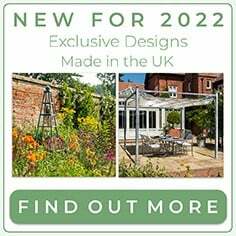 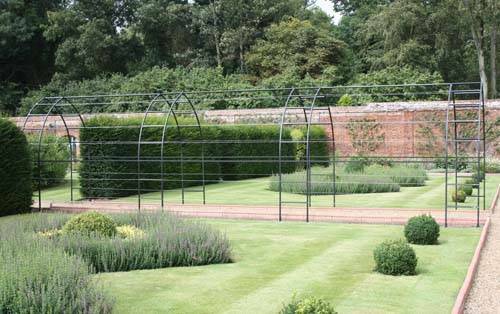 Designed, developed and manufactured exclusively in our Suffolk factory, the Garden Arch range utilises the very best materials, proven over many years as part of our renowned Steel Fruit Cage Range and all arches carry a 10 year structural guarantee. 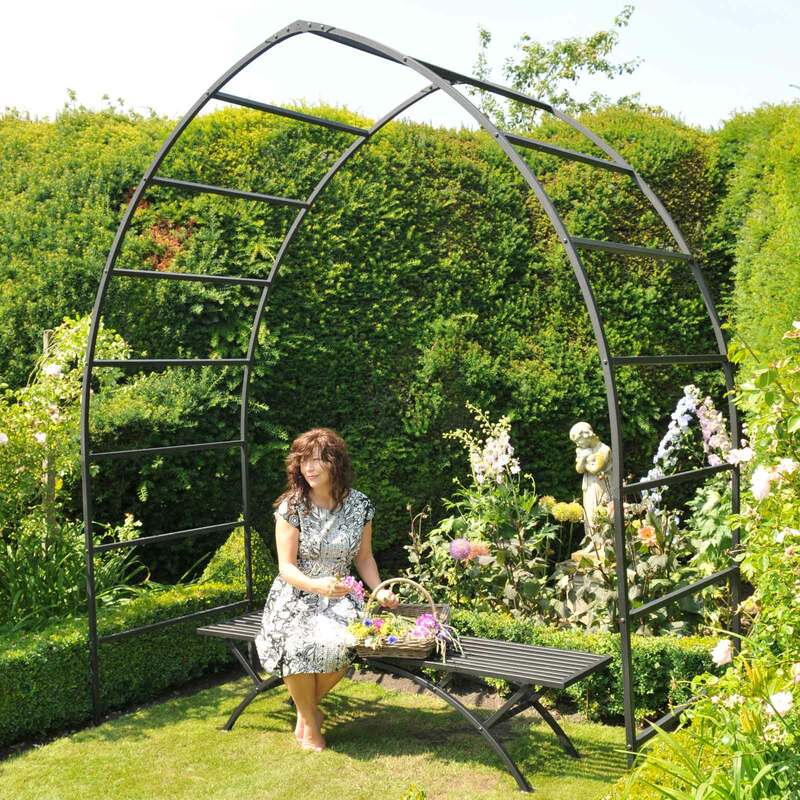 Harrod Horticultural sells a fantastic range of quality arches including this Gothic Garden Arch. 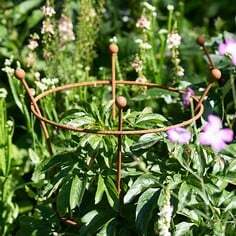 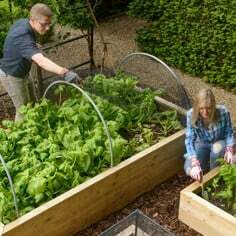 This would create a very stylish entrance to your veg patch and be used to support climbing beans, squashes, sweet peas or roses. 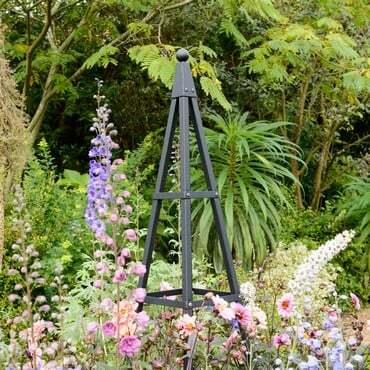 The metal arch is pre-galvanised and powder coated in matt black finish. 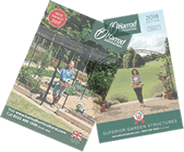 The arches provided by Harrod Horticultural have enhanced the beauty of the formal gardens, providing a focal point to draw the eye and frame the walkways and borders. Our Expert Design Team have previously created a run of 3 Gothic Linked Arches, and a Gothic Gazebo as a wonderful central focal point to a garden, in a bespoke design.